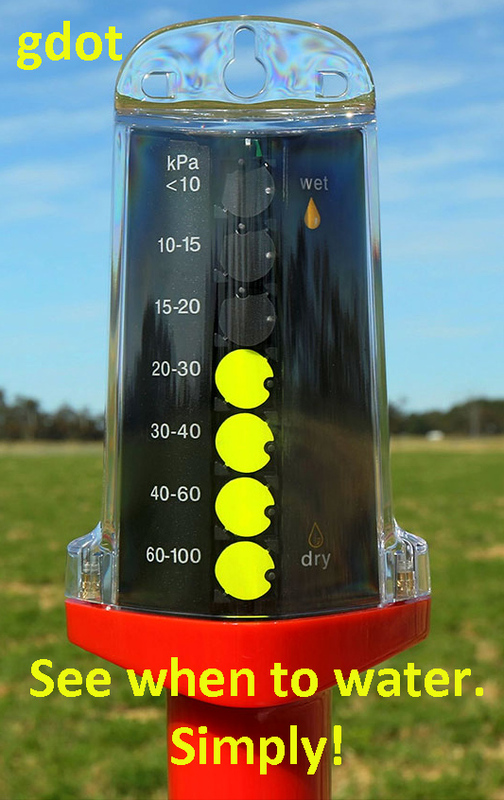 GDot soil moisture meter makes watering your crop simple. Instantly know the Soil Moisture without even getting out of your truck! 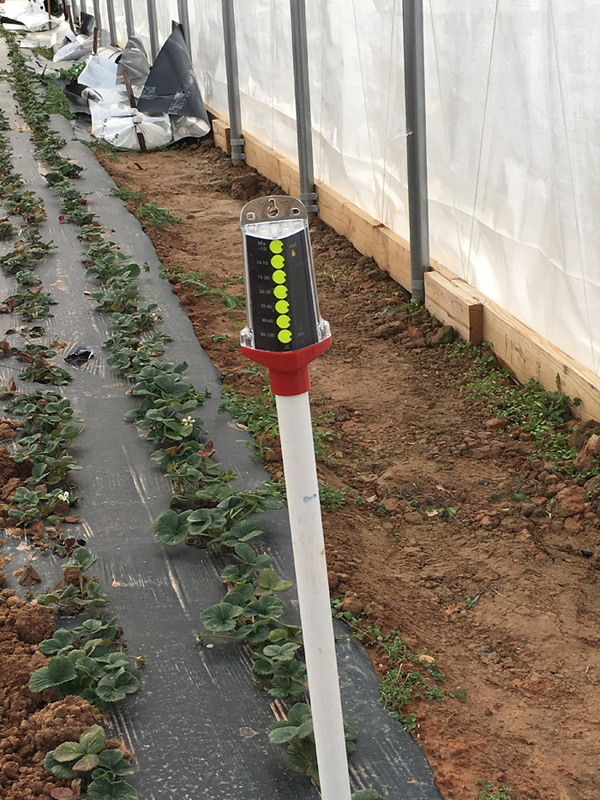 Gypsom block sensor goes in the ground at your crop and the gdot quickly monitors the moisture in your soil and alerts you when you need to water. You put the supplied gypsum block in the root zone of your crop and then hook up to the display unit. Seven yellow dots tells you that your soil is wet. As the yellow dots flip back to black you know that your soil is drying out. No Electricity Needed! Runs off 2 AA Batteries! 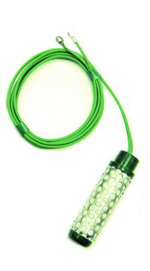 Sensor is readible from 30 feet away and you can extend the sensor wires up to 300 feet! GDot can be moved from one sensor to another or left at one sensor. We recommend putting one sensor deep and one shallow.